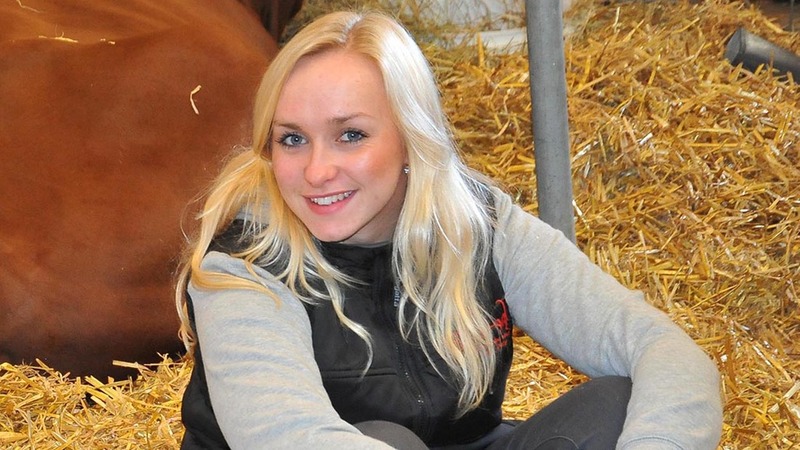 Tributes have been paid to Farmers Guardian reporter Louise Hartley who has died at the age of 24. Louise, from Bashall Eaves, Clitheroe, Lancashire, passed away on the morning of Friday, July 1, after a short but brave battle with a rare form of ovarian cancer. From a farming family, Louise had worked for Farmers Guardian since 2013 and was well known across the industry. He said: “From the very first moment Louise joined FG, her talent for journalism, natural inquisitiveness and brilliant writing style really made her stand out. “She also had a wonderful personality which meant she could coax the most in-depth information from interviewees, which is crucial in this job. She was a credit to FG, to herself and to her family. Head of livestock at Farmers Guardian, Katie Jones, added: "Louise was an incredibly talented member of the livestock team. She had an infectious enthusiasm for the industry and was boundlessly creative. "Her genuine, bubbly personality meant she would put everyone she met immediately at ease. Her love for the farming industry, in particular the dairy sector, was no more evident than at agricultural shows where she would love nothing more than speaking to the exhibitors in the stock lines, and watching the action around the rings." A leading member of Clitheroe YFC and regularly involved with Lancashire Holstein Young Breeders Club, Louise was a familiar face to many across the industry as she attended shows and events around the UK. Emma Penny, Farmers Guardian’s group head of content, said the young reporter was an ‘invaluable’ member of the editorial team. “Louise started working for FG during her university holidays, and quickly proved to be an invaluable member of the team, winning the Guild of Agricultural Journalists’ John Deere Award. "We were delighted when she joined the team as a reporter when she finished her degree in agriculture at Newcastle University. She was an imaginative writer, producing really thought-provoking articles, and ensuring she gave readers the best possible information. "We will all miss her terribly." Louise was diagnosed with Small Cell Carcinoma of the Ovary Hypercalcemic Type in March. Throughout her battle with the disease, friends, family and fellow YFC members raised thousands of pounds for Macmillian Cancer Support and Field Nurse.